In the Black Hills of South Dakota lie eleven thousand acres of breathtaking rangeland and rimrock, canyons, and pastures – home to more than three hundred wild mustangs. This preserve was the vision of one man – Dayton Hyde – who conceived of a place where wild horses could live and die in freedom and dignity. Stunning photographs and a richly eloquent text tell the story. 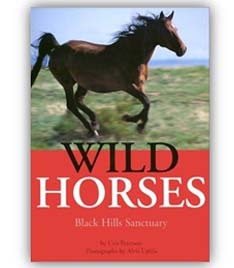 Readers will meet horses named Painted Lady and Medicine Hattie, among others. This heroic and inspirational tale is told in simple, lucid prose. Conservationists, wildlife advocates, and horse lovers of all ages will rejoice in this story, as well as in the glorious photographs throughout.